For Lenovo IdeaPad U430p, Lenovo IdeaPad U530, Lenovo IdeaPad U530 Touch 59401453. For Lenovo IdeaPad U430 Touch, Lenovo IdeaPad U430 Touch 59399722. Lenovo IdeaPad U530 Touch 59401457, Lenovo IdeaPad U530 Touch 59401459. 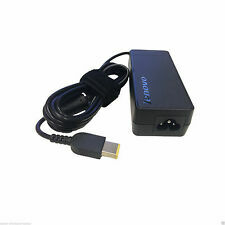 OMPATIBLE Product：LENOVO IDEAPAD 100S-11IBY MIIX 310-10 Product Type: AC Power Adaptor / Charger Colour: Black AC Input: 100~240V / 50-60HZ DC Output: 5V 4A Power: 20W Connector Size: 3.5 x 1.35mm Cable length 1.8m Warranty: 1 Year Plug Type: UK Package：1 AC/DC power adaptor. DC Output: 20V 3.25A. Connector Size: USB Type Yellow Tip With Pin Inside. AC Input: 100~240V / 50-60Hz. DC Output: 5V 4A. AC Input: 100~240V / 50-60HZ. Power: 20W. POWER CORD is included where applicable. Product Details. Lenovo ideaPad 100S-11IBY Notebook 80R2 MIIX 300 310-10IBY 80NR. . Output: 5V~4A. Such as battery, ac adapter etc. All item passed FCC / CE / ROHS certificates. We work with a good quality supplier and factory. Plug Type: 3pin (UK). Connector Size: 4.0 x 1.7mm. Output Power: 45W. DC Output: 20V 2.25A. Power: 45W. DC Output: 20V 2.25A. Plug Type: 3pin (UK). AC Input: 100~240V / 50-60HZ. POWER CORD is included where applicable. Product Details. Power up your notebook when and where you need it with a Lenovo 65 W DC Travel adapter. This Lenovo travel adapter is ideal for travellers who need convenient access to power while on the go. It provides 12 VDC power for in-vehicle use and 15 VDC power for aeroplane use. Power: 45W. DC Output: 20V 2.25A. AC Input: 100~240V / 50-60HZ. Plug Type: 3pin (UK). POWER CORD is included where applicable. 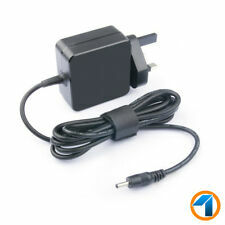 This sale is for new Lenovo Power AC ADAPTER (Model: ADP-90XD B) and including UK Power cable. 1 x Lenovo Power AC ADAPTER. Lenovo PN: SA10J20150. Tip pin size: Lenovo’s new rectangle tip with pin in the centre (NOT circle tip) see pics for more detail. DC Pin Size: Rectangle USB Type Yellow Tip With Pin Inside. Power 65 Watt. Output Current: 3.25A. POWER CORD is included where applicable. AC Input: 100~240V / 50-60HZ. Power: 45W. Warranty: 1 Year. Connector Size: 4.0 x 1.7mm. DC Output: 20V 2.25A. Laptop battery for lenovo. 1 X Power Cord(UK Plug). 1 X AC Adapter. Includes power cable. Our 100% item locate UK Local warehouse. Such as battery, ac adapter etc. Laptop battery for hp. Laptop battery for dell. Compatible Product LineFor Lenovo IdeaPad,For Lenovo ThinkPad,For Lenovo Yoga,ThinkPad. For Lenovo IdeaPad U430p, Lenovo IdeaPad U530, Lenovo IdeaPad U530 Touch 59401453. For Lenovo IdeaPad U430 Touch, Lenovo IdeaPad U430 Touch 59399722. Power: 45W. Output: 20V === 2.25A. Connector size : 4.0mm x 1.7mm. Input: 100-240V ~ 1.3A 50-60Hz. Compatible ModelLenovo G50-80 80E5 SERIES. Compatible Product LineFor Lenovo IdeaPad,For Lenovo ThinkPad,ThinkPad. For Lenovo IdeaPad U430p, Lenovo IdeaPad U530, Lenovo IdeaPad U530 Touch 59401453. For Lenovo IdeaPad U430 Touch, Lenovo IdeaPad U430 Touch 59399722. 1 X AC Adapter. Such as battery, ac adapter etc. Power: 40W. We work with a good quality supplier and factory. Help you and us save money greatly. All item passed FCC / CE / ROHS certificates. We will very appreciated for your doing. For Lenovo IdeaPad U430p, Lenovo IdeaPad U530, Lenovo IdeaPad U530 Touch 59401453. For Lenovo IdeaPad U430 Touch, Lenovo IdeaPad U430 Touch 59399722. 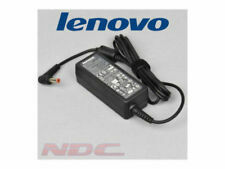 Compatible Product LineFor Lenovo IdeaPad,For Lenovo ThinkPad,ThinkPad. DC Output: 5V 4A. Colour: Black. Plug Type: 3pin (UK). Warranty: 1 Year. Connector Size: 3.5 x 1.35mm. Power: 20W. Product Details. 1x AC adapter. Such as battery, ac adapter etc. 1x Free power cable. Our 100% item locate UK Local warehouse. You may also like. (Apply for Battery Only). Currently, our after-sale workmate good at English. AC Input: 100~240V / 50-60HZ. Power: 45W. POWER CORD is included where applicable. Connector Size: 4.0 x 1.7mm. DC Output: 20V 2.25A. DC Pin Size: Rectangle USB Type Yellow Tip With Pin Inside. Output Current: 3.25A. 100% compatibility with the original. Condition: New. Feature: This is a Brand New COMPATIBLE Product Quantity: 1 piece Product Type: AC Power Adaptor / Charger Colour: Black AC Input: 100~240V / 50-60HZ DC Output: 20V 2.25A Power: 45W Connector Size: 4.0 x 1.7mm Plug Type: 3pin (UK) Modified Item No Custom Bundle No Compatible Brand For Lenovo Max. Output Power 45W Output Voltage(s) 20V Compatible Product Line For Lenovo IdeaPad MPN Does Not Apply Brand Does Not Apply Non-Domestic Product No Output Current 2.25A EAN Does not apply. Output: 20V 2.25A 45W. Lenovo IdeaPad 100 100s 110s 110 310 510 510 710 710s. Compatible NoteBook Such as battery, ac adapter etc. Our 100% item locate UK Local warehouse. You may also like. (Apply for Battery Only). 90 Watts DC output power. Input: 100-240 V AC 1.6A (50/60 Hz). DC Output: 20V 2.25A. AC Input: 100~240V / 50-60HZ. Warranty: 1 Year. Includes 5 laptop connectors. Plugs / Adapters: Laptop connectors x 5. Box contents: Manual, Connectors x 5. Power: 90 W.
(Lenovo IdeaPad 100 100s 110s 110 310 510 510 710 710s. Such as battery, ac adapter etc. Our 100% item locate UK Local warehouse. excluded.). (Apply for Battery Only). We will very appreciated for your doing. Specification: Condition: Brand New - Sealed in Box. Input: AC 100-240V, 50-60Hz Output: 19V 1.58A 30W Manufactured with the highest quality materials Built-in overload, over-voltage and short circuit protection High quality UL SA CE RoHS approved 100% compatibility with the original This product is good for the following Models and Part# Laptop Charger for Lenovo IdeaPad 110 320 510 110S 110S-11IBR 120S 320-15IAP 100% New Components - never refurbished, recycles, or used Non-OEM but 100% Compatible - Guaranteed to meet the specifications of your original device Nearly all our products have UL, CE and RoHS certificates. 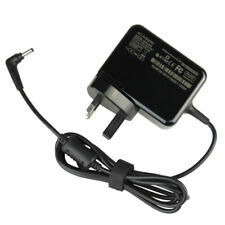 20V 2.25A Ac Adapter Charger for Lenovo V110-15ISK 80TL V110-15IKB 80TH. AC Input: 100~240V / 50-60HZ. Warranty: 1 Year. Power: 45W. (Lenovo IdeaPad 100 100s 110s 110 310 510 510 710 710s. Compatible NoteBook Such as battery, ac adapter etc. excluded.). Our 100% item locate UK Local warehouse. (Apply for Battery Only). We will very appreciated for your doing. DC Pin Size: Rectangle USB Type Yellow Tip With Pin Inside. Output Current: 3.25A. Condition: New. 100% compatibility with the original. Our products are non OEM, Third party. Lite-an® High Quality 87W Laptop Power Adapter For Macbook 15" USB TYPE C pin. 1 X Power Adapter. This limited warranty does not affect your statutory rights provided by law. Replacement Bose 17V to 20V / 17 to 20 Volt Mains Battery Charger Adapter Adaptor Power Supply plug Cord for 20V Charger Power Adapter for JBL Boombox Portable Bluetooth Waterproof Speaker. Broken or faulty laptop chargers and adapters can be really annoying, especially when you need to use your laptop on the go. 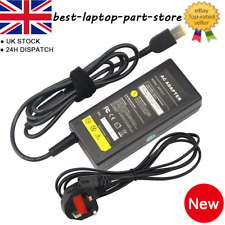 Laptop chargers are often subject to a lot of wear and tear over the years and laptop power adapters and chargers for Lenovo provide a reliable purchasing option. 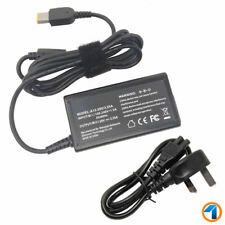 Laptop chargers and adapters for Lenovo laptops are available in three types: AC and DC, AC/Standard or DC/in-car so check what best serves your needs to narrow down your search. Genuine chargers and adapters for Lenovo are generally highly regarded for their durability and quality. Essentially, when you replace your adapter or charger, what you want is something well made, that doesn't overheat and neither overcharges or undercharges. 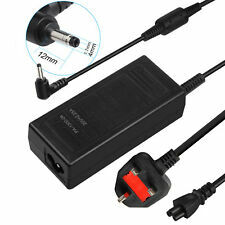 A good example of a replacement power adapter and charger for Lenovo should roughly follow certain specifications. 20 Volts, 4.5Amp and 90 watts AC power or something along these lines will work for the following models: T60, T60p, T61, T61p, X60, X60s, X61, X61s, R60, R60e, R61, R61i, Z60 ,Z60m, Z60t and several others. Many adapters and chargers for Lenovo are easily portable with a slimline design. 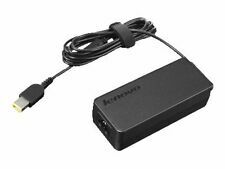 The ThinkPad 65w AC adapter is compatible with post 2013 Lenovo notebooks with the rectangular 'slim tip' common power plug. Look for Energy Star V (ES 2.0) technology to ensure efficient use of power and also remember to check carefully the type of plug-in you have for your Lenovo laptop, as some of the products are compatible with Lenovo notebooks from 2013 onwards. However, if your laptop is an older one, the legacy system with the round power plug will not be compatible. Finally, beware of other generic adapters as their voltages and amps could well vary and may damage the device. 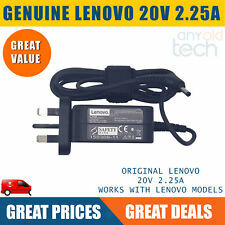 It's better to pay a little bit more at a very modest price for the genuine Lenovo part.